Almost a decade ago, the exclusive Super Stardust HD hit the PlayStation 3. Sony even offered it as an apology to players when their account information had been leaked, so no shortage of PlayStation users have experienced Super Stardust. In 2015, Super Stardust Ultra was released on the PlayStation 4, a slightly enhanced version of the PS3 title. 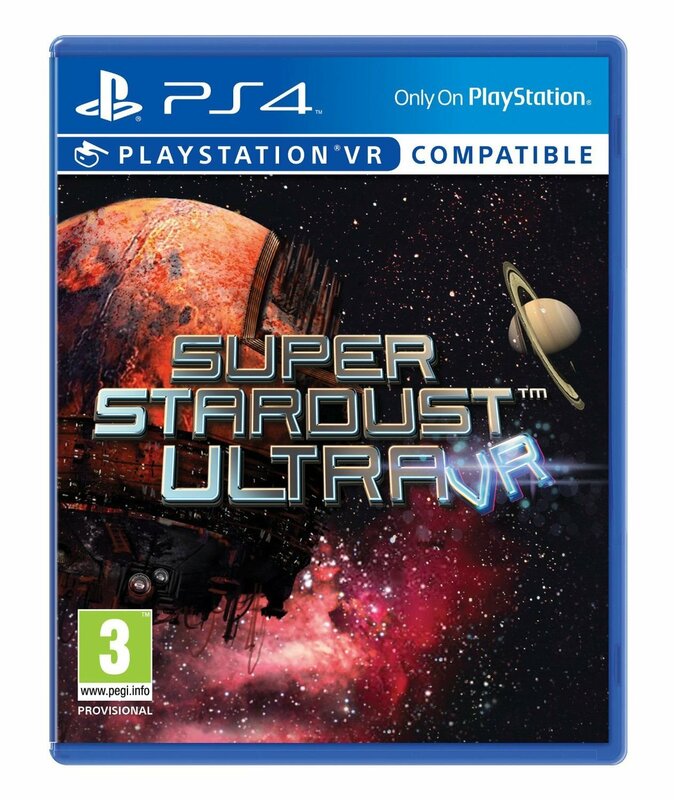 Now, with virtual reality quickly becoming a highlight in videogame history, players can experience the title in VR with Super Stardust Ultra VR. I was extremely excited by the idea of Super Stardust in virtual reality. 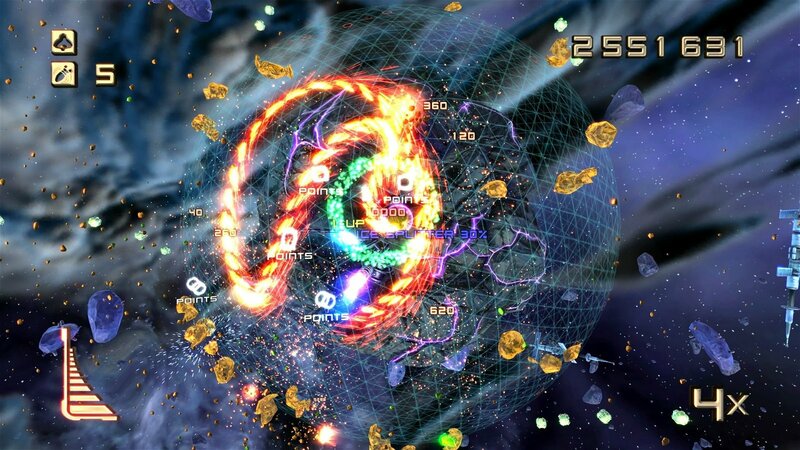 Super Stardust is one of the best shoot ’em up titles to hit consoles in the last decade. Super Stardust HD hooked me way back in 2008, and it’s a game where I definitely challenge my friends to beat my score and so far I rule supreme. In addition to that, I’ve also become quite the VR nut. So upon loading up Super Stardust Ultra VR I was both excited and a little dismayed to find that it is the same base game. With the recent not-entirely-a-port Super Stardust Ultra in 2015, I thought maybe they would have spiced up the base game a bit. 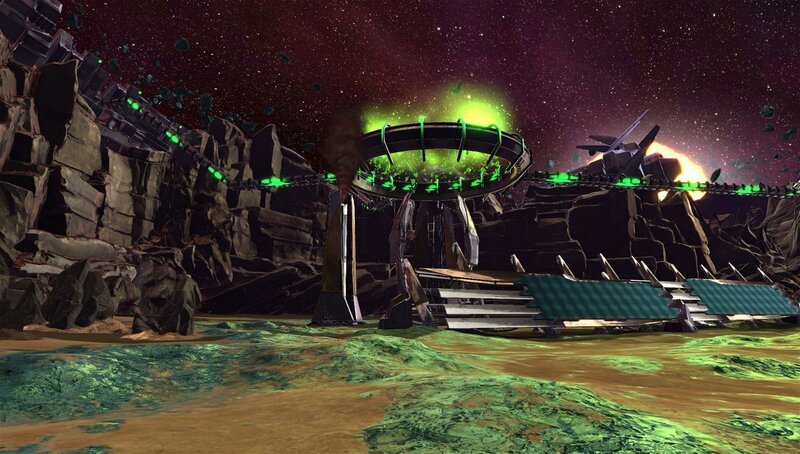 The new aspect to this Stardust title is Invasion mode, a mode designed for VR. 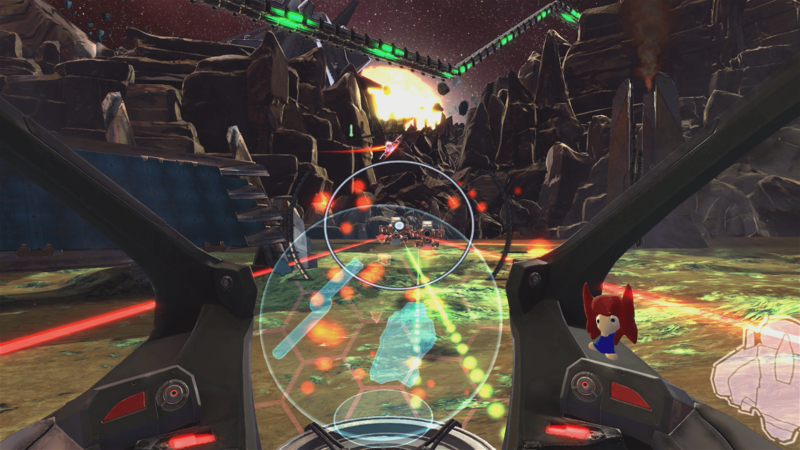 In Invasion mode, players are brought down to the planet’s surface and sit in the cockpit of their ship, turning Super Stardust into a first-person shooter. Both joysticks are used to hover around the planet, where players blast their way through standard Super Stardust phases. Players use their head to aim, which basically works. However, I found myself looking around while firing on enemies in an effort to see what else was coming my way. I had to discipline myself to focus on one enemy at a time, which is not a strategy I’m accustomed to when playing FPS titles or Super Stardust. Yet, there is no denying that this is Stardust. Invasion mode graphically represents Stardust. Not realistic, but good enough to enjoy like being, sucked into an arcade machine. The enemies are familiar to any Stardust veteran, but now they attack from above and below, which is a nice change of pace. However, there are far less of them. Players have the option to advance past normal difficulty to ramp up the intensity, but something is still lacking. The maps feel condensed into a small space. Players don’t travel around a sphere this time around, instead traversing a flat map. Points and weapon upgrades are still there, but fewer. The whole affair feels slow compared to the intensity of the regular Super Stardust Ultra. Feel free to let Grandma have a go at this without worrying about overloading her senses. The VR technology limits making Ultra VR a deep Stardust experience. Players can’t see all around them, so it’s never provoking the feeling of being utterly surrounded. It is difficult to throw a lot of enemies at the player who is using their head to aim without causing whiplash. This all gives into the slower experience. Is Grandma enjoying herself yet? I never had a problem feeling motion sick in Super Stardust Ultra VR. I was concerned that this would be a problem as I did take a trip to Queasy Tummy Town with Here They Lie, which had a similar camera and control scheme. But I was able to move around quickly and look around to attack enemies without incident. However, due to the controls and gameplay, I can see some players encountering some upset stomachs. People say “if it ain’t broke, don’t fix it” and that may be the way to view Super Stardust Ultra VR. For all intents and purposes, it’s the same game I have been playing for almost 10 years. It’s still an amazing game, and I will continue to waste hours with. Yet Super Stardust Ultra VR is missing the charming intensity that makes this game so addictive. Sitting in the cockpit is a fun little experience but it is just that: little. It took a couple of Valiums and went for a slow Sunday drive with Grandma. 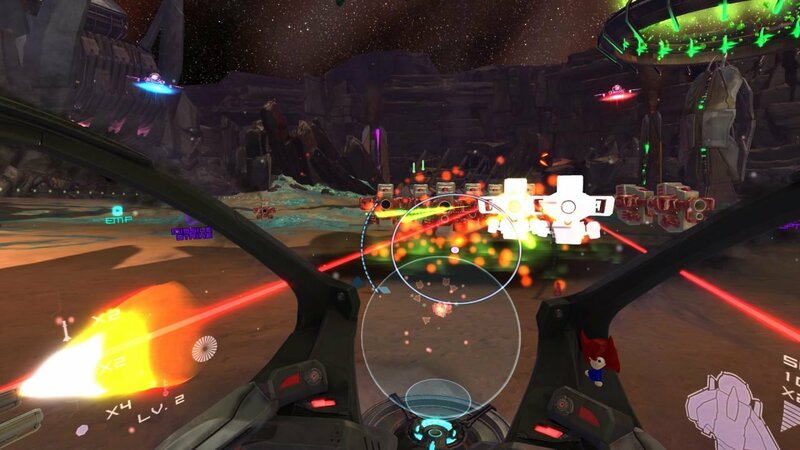 Fans may enjoy the gimmick of the VR cockpit, but will most likely return to the core game rather quickly.